I hadn't realised this was a young adult novel before I picked it up. This isn't something that generally deters me, but opening the gates of hell isn't something I'd associate with coming of agers, and would place it more in Dante's realm. Although the novel could be termed as serious, what with demons conquering the earth, and so forth, it's incredibly funny in a droll sort of way. Nurd the demon is to be admired in his humorous way of adapting to life on earth, and some of Connolly's social commentary had me grinning from ear to ear. Maybe something our young adults may miss, but enjoyable nonetheless. Boswell was, by far, my favourite character. He's a courageous daschund, with only Samuel's safety and wellbeing in mind. I had wondered whether he would end up with a devastating fate (I'm looking at you, Mr Ness), but I'm pleased to report he's still operating well. There's a great deal of physics chat in the novel, which confused me entirely. 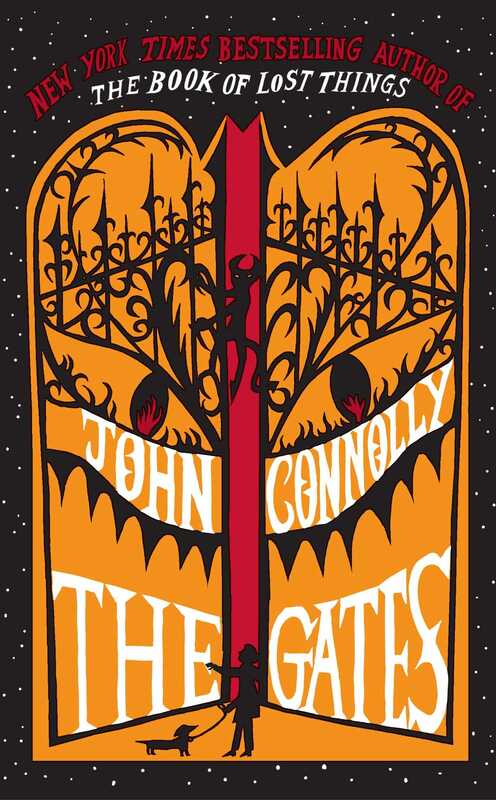 Although impressive, and although it added an appreciated scientific substance, for a young adult novel, I felt pretty stupid being confused by Connolly's idiot-guide explanations. These, thankfully, slow down after the first few chapters, before picking up towards the finale, but jeezo, what a mindbend. Samuel had two best friends, Maria and Tom, and although the three of them came across as a Harry-Ron-Hermione unit, I was pleased to see Connolly cast Maria as the brainbox, understanding the physics behind the portal to hell, and ultimately coming up with the plan to potentially close it. You go girl. Whilst reading the novel, I found myself imagining what certain scenes would look like filmed, and I truly believe this is a medium where the story would excel a lot better than it did in the printed word. I must admit, I expected more of this having read The Book of Lost Things and being notably impressed. I was disappointed in many things; I felt a real anti-climax at the end of the novel where nothing really piqued. Connolly spent lots of time building up The Great Malevolence (so much so that I had thought it'd be an excellent new nickname for myself), to end up with a barely a glimpse of him. Also, the solution to the problem of the portal had huge holes in it and seemed totally rushed. Give it a miss unless you have (strong-stomached) children.